566 W Shore Trl, Sparta Twp. 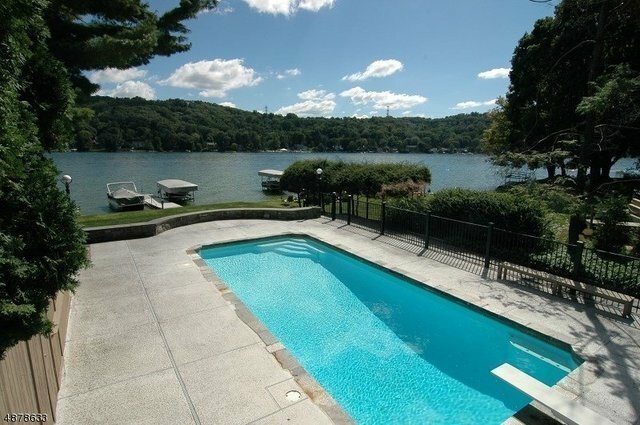 LAKE MOHAWK - LAKEFRONT - In-GROUND GUNITE POOL. Prime Location - Spectacular Main Lake views. Beautifully finished, updated, with high quality. Open interior design - perfect for lakefront living. Located " Between the Gates" within walking distance to the golf course. Stunning LR - DR combo w/ vaulted ceiling flows perfectly to a gourmet Kit with beautifully crafted, custom cabinets + tops. Entire wall of Pella sliders overlooks picture perfect LAKEFRONT property w/ free form Gunite pool. Retractable wooden doors lead you into the Fam Rm with full bath. Just off the LR is the impressive 2-story Bonus-Media rm. The master BR features its own private poolside sunroom with sliders to the patio and pool. Lazy days at the Lake, live your dream.